Rail lines where a freight train and trash truck collided earlier this week have reopened in Baltimore County. CSX spokesman Bob Sullivan said in an e-mail Friday that rail service at the crash site in Rosedale, Md., was restored on one track at 6:30 p.m. Thursday and on a second track at 11:30 p.m. The crash happened Tuesday at about 2 p.m., derailing 15 train cars, three of which contained hazardous materials. Six minutes after the crash, as the cars burned, one containing sodium chlorate exploded, rattling nearby structures and knocking the siding off warehouses. A plume of smoke sent into the air by the crash could be seen for miles. The driver of the truck, John J. Alban, Jr., was taken to the hospital as a result of the crash. 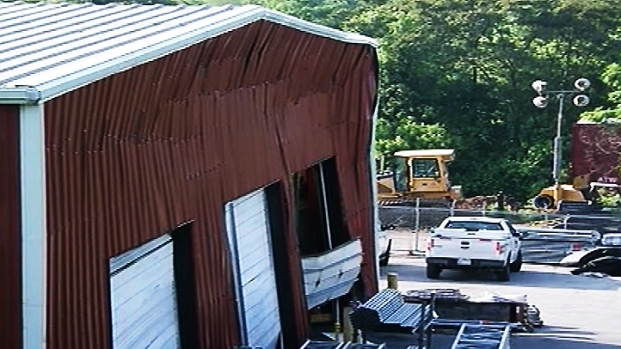 Authorities investigating the crash said Thursday that Alban Waste, LLC, has what they consider a poor safety record. 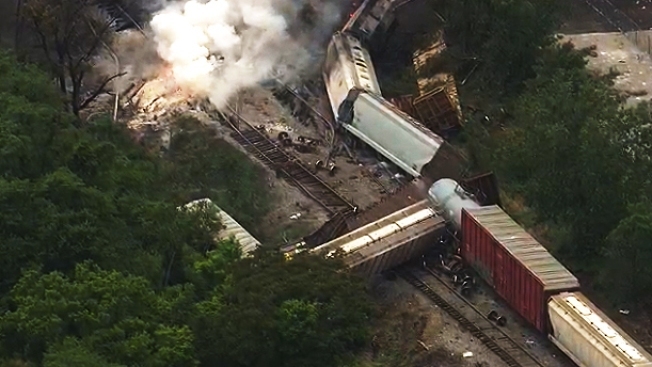 CSX and National Transportation Safety Board (NTSB) investigators are still working to determine what caused Tuesday's freight train derailment in Baltimore County. Two CSX drivers weren't hurt. NTSB board member Robert Sumwalt said Thursday that the explosion caused damage estimated at $505,000 to the train and $120,000 to the tracks. Train Derails, Leading to Hazmat Explosion in Balt. Co.